Brad Paisley has something to say about transgender bathroom laws. 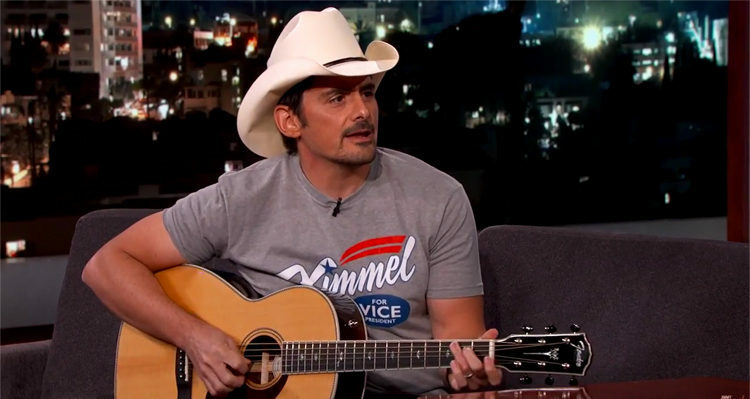 Country music legend Brad Paisley sang a song about North Carolina’s controversial transgender bathroom law Tuesday night. “Sometimes it’s hard to be a woman especially when you were born a man,” Paisley sang, with fresh lyrics to poke fun at controversial transgender backroom laws.